with chopped chives. 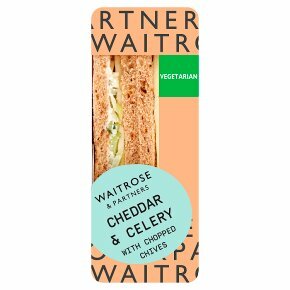 Cheddar, low fat soft cheese and mayonnaise, with crunchy chopped celery and a sprinkle of chives, on malted bread. Made with bread baked with flakes of malted wheat and bran.